WATCH IT HERE NOW | Michigan Gov. Rick Snyder's annual address to the Michigan Legislature and Democratic response. 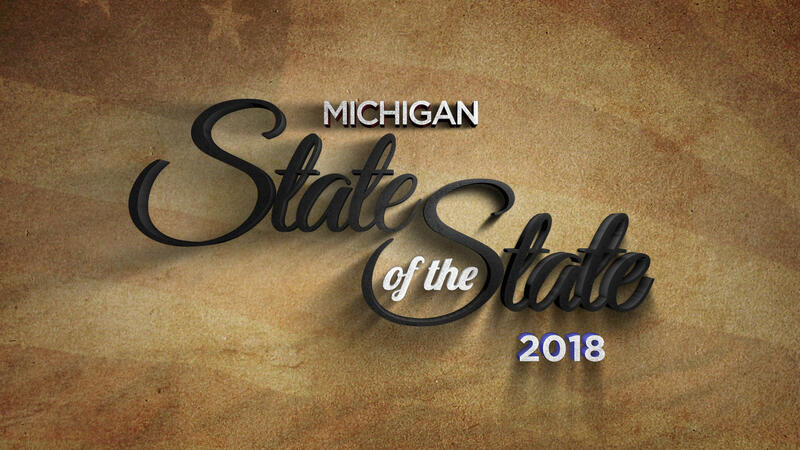 WKAR coverage of government and politics continues for 2018 with a live broadcast and webcast of Michigan State of the State 2018 with Off the Record and Michigan Public Radio Network (MPRN) analysis. The special will air Tuesday, January 23, 7 p.m. on WKAR HD 23.1 and 94.5 FM and both will be streamed live at wkar.org. In the 90-minute special, Michigan Governor Rick Snyder will lay out his new legislative year agenda. A Democratic response follows the address. On the television broadcast, Senior Capitol Correspondent Tim Skubick provides Off the Record analysis and commentary along with Bill Ballenger of The Ballenger Report, Kyle Melinn from mirsnews.com, Vickie Thomas of WWJ/Entercom Radio, and Chris Christoff, former "Off the Record" panelist. This will be Tim Skubick's 48th State of the State broadcast and analysis. 94.5 FM radio coverage with analysis will be anchored by MPRN's Rick Pluta. Michigan State of the State 2018 is supported in part by Truscott Rossman, the Michigan Primary Care Association, and the Michigan Academy of Family Physicians. The program will be available for on demand viewing on many mobile and TV streaming devices, and at video.wkar.org beginning the following day.